Based out of Scappoose, Oregon, Crow Water Systems (and its predecessor, Langdon Supply) has been locally owned and operated for over 65 years, providing outstanding service to residential and commercial water system owners in greater Columbia County and the outlying areas of Washington County and Multnomah County. Crow Water Systems maintains the same business philosophy that helped build Langdon Supply's success: excellent service and high-quality parts, fair prices, honest operations, and world-class craftsmanship. 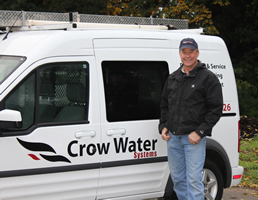 Crow Water Systems takes pride in developing life-long business relationships with exceptional customer satisfaction. The employees at Crow Water Systems are highly educated and experienced in the engineering and function of water systems and water chemistry, including the use of top-quality equipment to meet water system needs. The staff has over 45 years combined experience in the industry, with credentials that include Certified Pump Installer license, Backflow Testing license, Small Water Systems Operator license, and the area's only licensed Water Treatment Installer with an educational background in Chemistry. 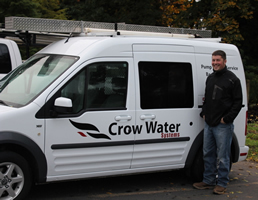 Call Crow Water Systems today at 503-543-6326 to talk to our specialists about your water system needs.